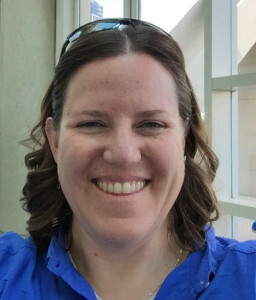 We are very excited to welcome our next curator, Clarissa Sorensen-Unruh (@RissaChem), chemistry instructor Central New Mexico Community College’s School of Math, Science, and Engineering. Clarissa also works with the Academic Science Education and Research Training (ASERT) program for postdoctoral fellows who want to teach and do research in biology, bioengineering, and/or biomedical sciences. Clarissa has a bachelor’s degree from Trinity University and a master’s degree from the University of New Mexico, where she currently is pursuing a Ph.D. in statistics. We asked Clarissa our usual set of questions, you can read her responses below. How did you end up in science? As a young girl, I excelled in math and science. I wanted to be a general practitioner as a M.D. I decided not to pursue medicine after my sophomore year in undergrad, but realized I particularly loved the intersection of chemistry and the human body, so continued graduate work in bioorganic chemistry. W hy did you choose your current field? I actually “fell” into academia so the choice wasn’t entirely intentional, but I continue in it because I love every aspect of it (teaching, research, communication, etc.). In fact, my current graduate pursuits (Statistics and Learning Sciences) exist because I would like to do even more than I do now. Tell us about your work! 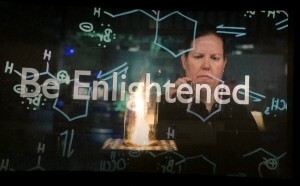 In my life as a chemistry professor, I am a chemical education researcher focused on building better critical thinking assessment into the 1st two years of chemistry higher education, creating unique pathways for increased persistence and retention of community college students in STEM, and integrating social media into current active learning pedagogies. As a statistician, I am most interested in the use of multivariate regression modeling and Bayesian statistics in STEM educational research. Why should the lay public care about your work? The public should care about my work because both chemistry and statistics are fields that are fundamental and need to be better communicated. My work in education is infused with the desire to not only see my students better succeed at the 2 yr and 4 yr levels but also to increase diversity in all STEM fields. Do you have any interesting extracurricular obligations? I’m a mom of a 10 yr old, I play guitar, piano, drums and sing, and I write poetry. Please welcome Clarissa to Real Scientists! Next story Let there be light, and then let me turn it into energy! Lisa Strover joins Real Scientists!